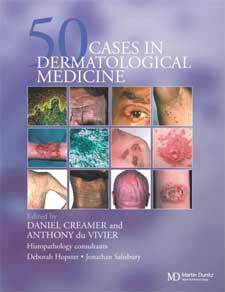 Fifty Dermatological Cases demonstrates how careful examination of the skin can lead to important diagnoses. Discusses cutaneous presentations of systemic diseases as well as rare, life-threatening skin diseases. Fifty Dermatological Cases highlights the importance of appropriate investigations, most particularly histopathology, in the diagnosis of skin diseases. Contains 200 illustrations that highlight the concepts discussed in the text. From dog bites that don't heal to the dermatological effects of a vegan diet, Fifty Dermatological Cases demonstrates the astonishing variety of cutaneous responses that occur in a range of underlying pathologies. This fascinating treatise presents fifty cases from King's College Hospital that show the important relationship between dermatology and other medical disciplines.